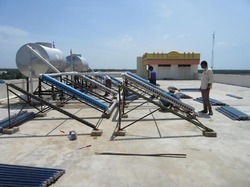 Being an eminent company, we are involved in rendering Solar Water Heater Maintenance. Solar PV Solar water heater Anual Mentainance Contract Services in pune . Solar energy systems require periodic inspections and routine maintenance to keep them operating efficiently. We Provide Solar Water Heater Maintenance Services. We are ranked on top by offering the best quality of Solar Water Heater Maintenance Service which is known for its remarkable finish and quality. We are a unique name in this industry to provide our prestigious clients an exclusive range of Solar Water Heater Maintenance Service. 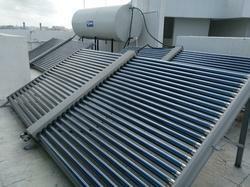 Solar Water Heater Maintenance Service is provided by us to patrons according to their requirements. We are counted amongst the prominent service providers, engaged in offering Solar Water Heater Maintenance Services to the clients. Captivating on the skills of our professionals, we are involved in rendering Solar Water Heater Maintenance Service. Since we have incepted our base in this industry sphere, we have been occupied in presenting to our clients highly effective Solar Water Heater Maintenance Service. Provided services are highly appreciated and valued amid our patrons owing to their qualities such as well-timed execution, reliability and cost effectiveness.